Home/Trading Platforms/SAMCO Nest Trader/How to check Intraday charts on Nest Trader? 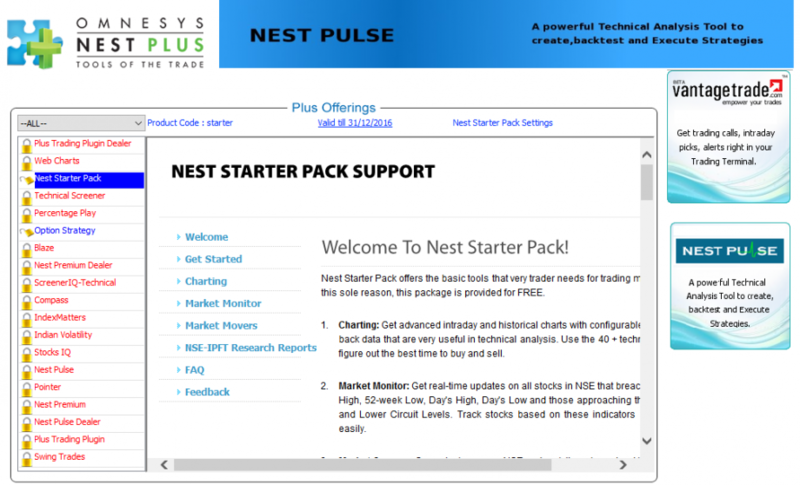 How to check Intraday charts on Nest Trader? This article answers the question of how to view intraday charts in the NEST Trader? In the SAMCO NEST Trader, a trader can get access to a minute by minute intraday chart. 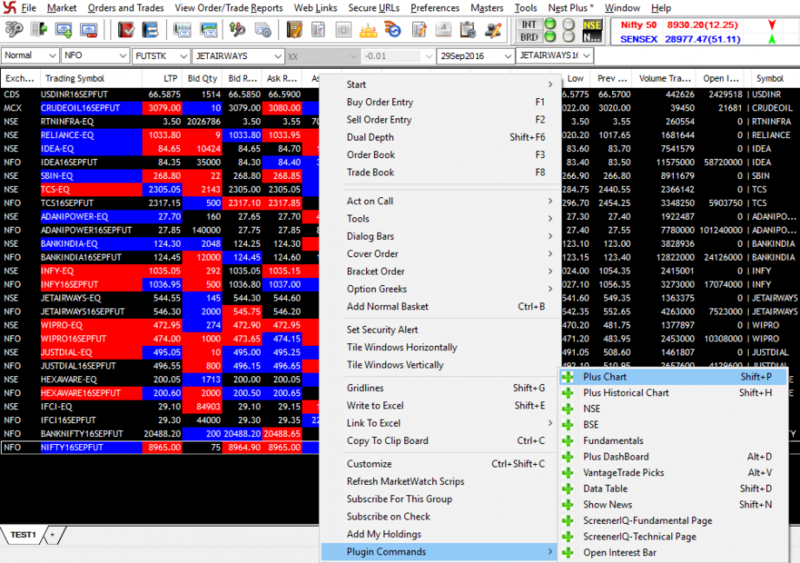 This is of great utility for intraday trading. This facility is provided under NEST Plus Charts service. While logging in for the very first time after account opening, the client would be asked to register for the NEST Plus Service. One needs to enter just their mobile number and their Email ID. This is a one time registration process and is required only once. The registration can be done later as well. One can also visit the Nest Plus website for registration. After the registration, to invoke the intraday chart, right click on any scrip and select the last option “Plugin Commands”. Next, select the first option “Plus Chart”. The short cut key for invoking the intraday chart is “Shift + P”. This shall invoke the chart on the bottom of your SAMCO Nest Trader screen. You can get minute by minute charts for last 21 days. 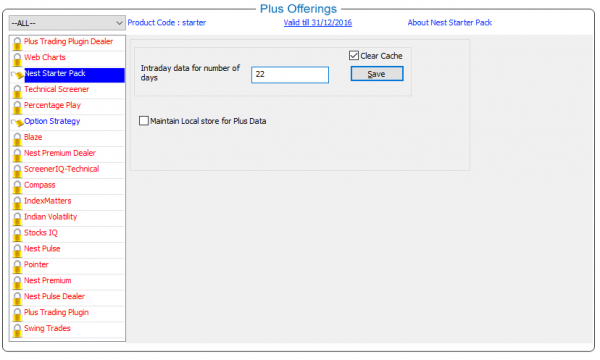 To change the number of days, go to the ‘Nest Plus’ Menu -> ‘My Nest Plus Account’ option -> Select ‘Plus Dashboard’. This would open a new window. After this, click on “Nest Starter Pack” on the left and then click on ‘Nest Starter Pack Settings’. Now, enter the number of days for which you want minute by minute chart, tick the “clear cache” and click on save. This will give you the minute by minute chart for the number of days selected.